At Charity Navigator we utilize the data found in the Form 990 to rate charities. However, not every charity is required to fill out the standard Form 990 (and others aren’t required to fill out any Form 990). 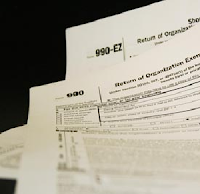 Small charities are permitted to file a less detailed version of the report which is called the Form 990 EZ. This document lacks much of the data we use in our analysis of charities, so we are not able to rate charities that file the Form 990 EZ. Please note when reviewing the historical data of these charities you may see a skipped evaluation year. Of course, that corresponds to the year that the charity filed the Form 990 EZ.